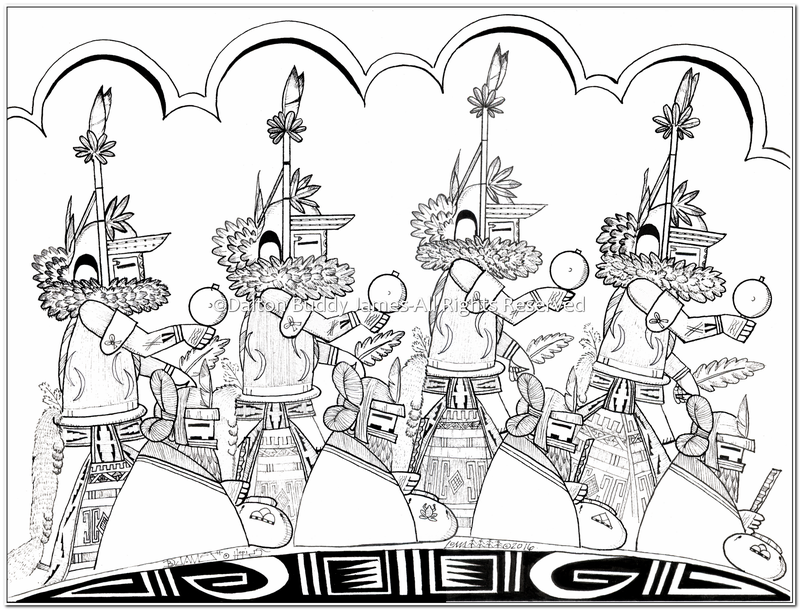 This image depicts four maidens as they perform the Basket Dance rendered in ink. (WxH) 12"x9". Original is for sale. Unframed $215 + Shipping/Handling. (WxH) 12"x9". Original is for sale. 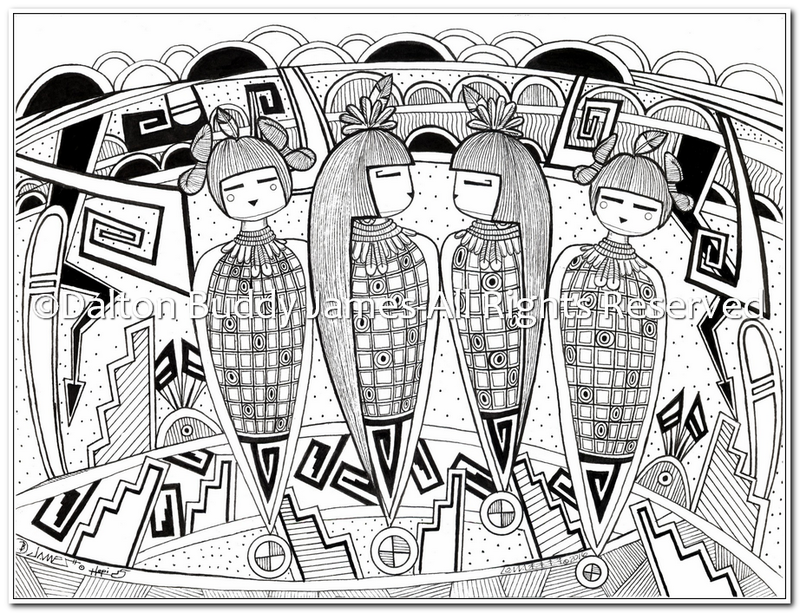 Unframed $215 + Shipping/Handling. 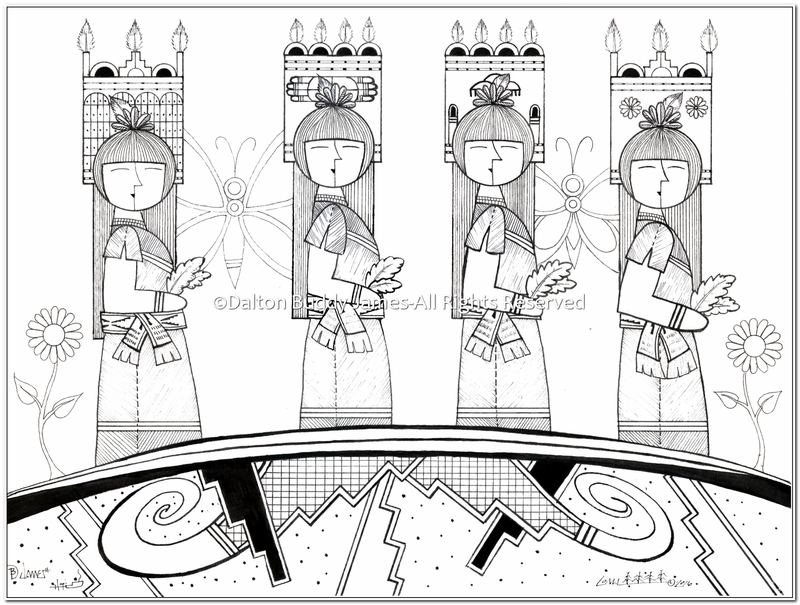 This image depicts four maidens as they perform the Butterfly Dance rendered in ink. (WxH) 12"x9". Original is for sale. Unframed $215 + Shipping/Handling. 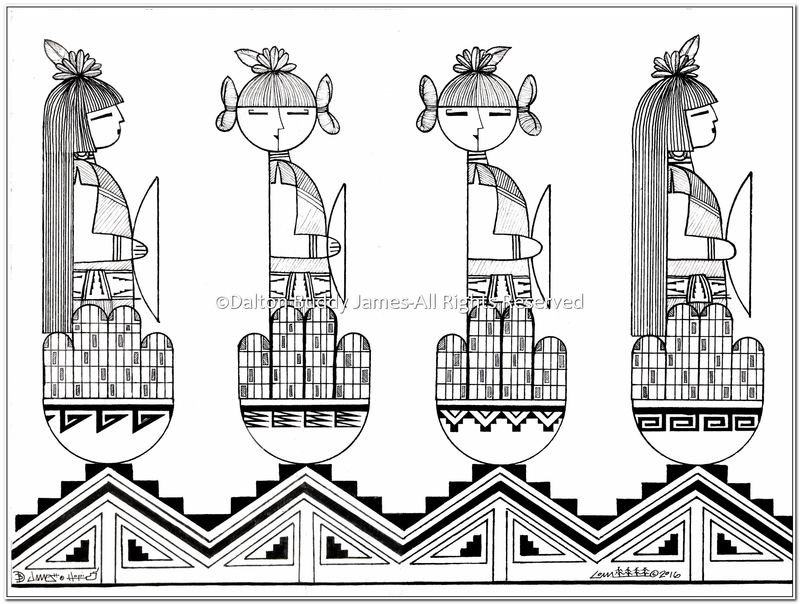 This image depicts Hopi Hemis Kachinas rendered in ink. (WxH) 12"x9". Original is for sale. Unframed $215 + Shipping/Handling. 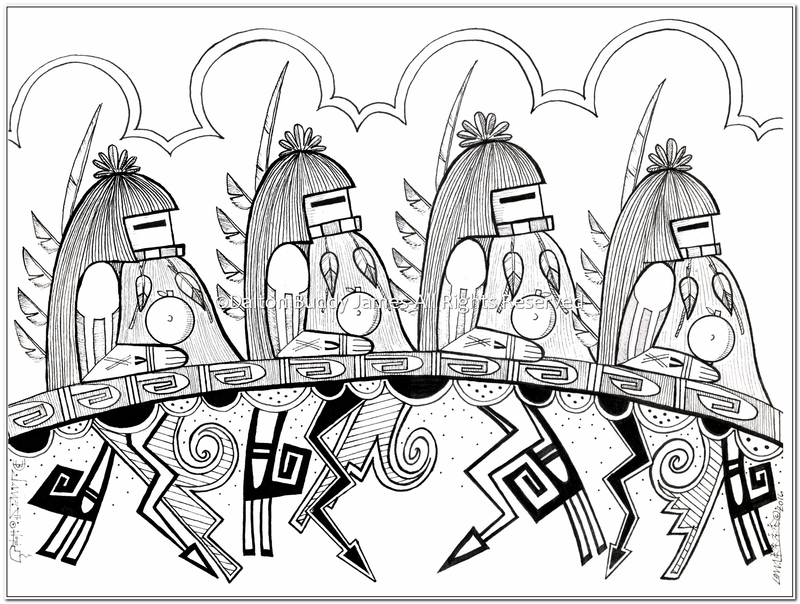 This image depicts four corn maidens surrounded by elements of rain and clouds rendered in ink. (WxH) 12"x9". Original is for sale. Unframed $215 + Shipping/Handling. This image depicts 4 Hopi Longhair Kachinas rendered in ink. (WxH) 12"x9". Original is for sale. Unframed $215 + Shipping/Handling.